Are you looking to get your rear windscreen tinted in Sussex? Are you unsure about the shade you should go for and the type of window film? Do you need a convenient windscreen tinting company to get the job done at a time that suits you? At Ultimate Tinting Brighton we are specialists in windscreen tinting, and have massive amounts of experience working with all types of vehicle. We are up to date on the statutory legal requirements when it comes to tinting. When tinting your rear windscreen there are really very few limits though. You can pretty much do what you like. There are far more limitations on the front windscreen and the driver and passenger windows, as you might expect. We are a local company with local company values. We always strive to go the extra mile and treat your vehicle as if it were our own. We have thousands of happy customers behind us, many of whom are our strongest ambassadors, referring us to their friends and family. We work with precision and a can-do attitude. 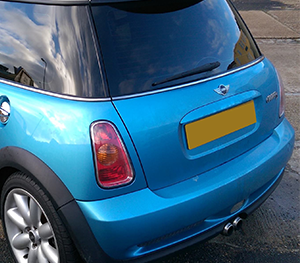 Our tinting film is guaranteed for 10 years in most cases, providing you with peace of mind. Precut windscreen film is not always appropriate and we have the skill to bespoke cut film so that it fits your vehicle perfectly. We understand that you are busy and that there are limited slots in your life to get your windscreen tinted. We can therefore be flexible, receiving your vehicle at lunchtime, in the evening, or even on the weekend. We cover most of the region, including Brighton, Hove, Seaford, Eastbourne and Lewes. If you need your window tinted quickly then we can normally sort out a fast appointment, or if you live outside of our standard sphere of influence you can, of course, still come to us. When we do mobile visits we tend to stick to Sussex though. 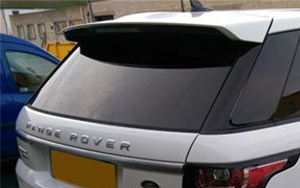 We can normally provide you with a pretty accurate quotation for your rear window tinting process over the phone. 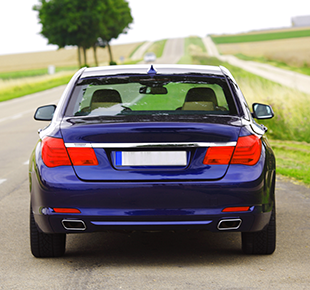 We can also guide and advise you on the best shades for your vehicle, and the right thickness for your requirements. All of the window tints that we use offer 99% UV protection, so the shade you choose will not dictate its level of safety. We are always happy to help our customers get the right solution for them. If you have any questions please do not hesitate to get in touch by phone or through our online forms.